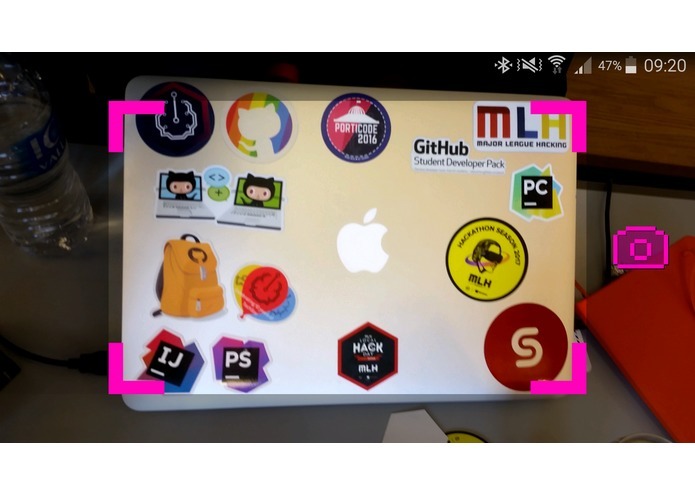 Your laptop stickers are evaluated with OpenCV. You are given a 'hacker score', so you can compare with others. Most of us have stickers on their laptop. And who does not think they have the coolest. Well, know you can find out if you are right with the use of our app. 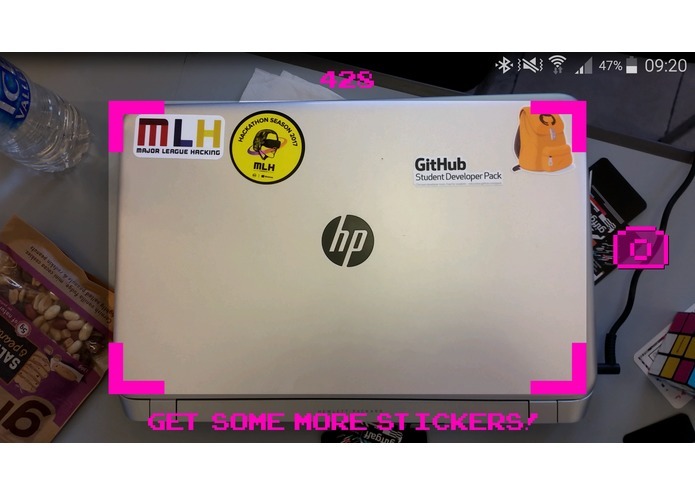 Using OpenCV to calculate a 'hacker score' based on the stickers you have on your laptop cover. The project was build with Android Studio and OpenCV. OpenCV was a pain to get to work. We are proud to have a project version running before the submission deadline. It was a fun project to learn about OpenCV and App development. Spread the word and get people using the first version of the app. Recognise different stickers and count the numbers of Hackathons attended. Worked on the backend of the project. Provided basic source code for each of the main functions and helped tackle counting pixel problem.